Metal-semiconductor core-shell nanocomposites with TiO2 as core and Ag nanoparticles as shell (TiO2@Ag) have been synthesized by a novel thermal decomposition approach. The size of Ag nanoparticles in TiO2@Ag can be controlled by varying the amount of silver acetate used during the synthesis. The synthesized TiO2@Ag core-shell nanocomposites were characterized using various state-of-art analytical techniques. XRD analysis confirms the formation of anatase and metallic silver in the core-shell nanocomposites and FT-IR studies prove purity of the TiO2@Ag core-shell nanocomposites. 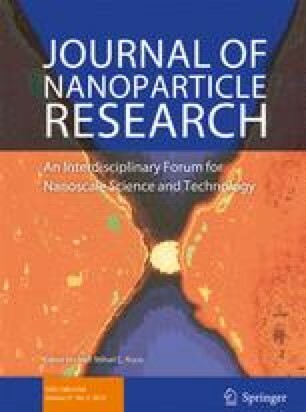 XPS studies confirm the presence of Ti4+ and metallic silver in the nanocomposites, and FESEM and TEM studies prove the coating of Ag nanoparticles on the surface of TiO2 spheres. The TiO2@Ag core-shell nanocomposites were explored as catalyst for the reduction of 4-nitrophenol in an aqueous solution at room temperature. In terms of catalytic performance, the TiO2@Ag core-shell nanocomposites are better compared to pure TiO2 as well as Ag nanoparticles. The online version of this article ( https://doi.org/10.1007/s11051-019-4500-y) contains supplementary material, which is available to authorized users. Jatin Mahajan thanks the University Grants Commission, Government of India, for the fellowship (JRF/SRF). The authors are thankful to Institute Instrumentation Centre, IIT Roorkee for providing various facilities.